The construction of this item has no relation to `minimum required` whatsoever. Its totally over engineered, unnecessarily massive and just plain `overkill`. It uses two M16 solid steel anchor bolts to hold it to the floor. Installation isn`t easy - you can`t do this with anything less than a heavy duty SDS hammer drill and a 16mm SDS masonry drill. I make no apologies whatsoever for it`s construction - if you want something thinner and cheaper there are many many available. The one I made for myself (not the one in the photo) I use with a top quality chain and an Ingersoll Military Spec padlock as used on British Army Armouries (not supplied with the ground anchor - please buy your own). 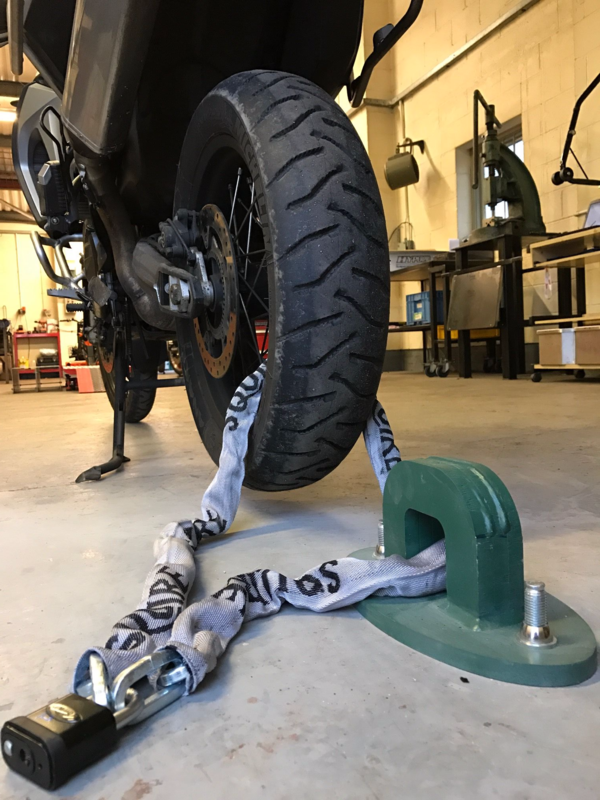 It uses industrial standard M16 security clutch nuts to hold it onto the floor so that when it`s tight it snaps off leaving a rounded surface you can`t get a grip on. 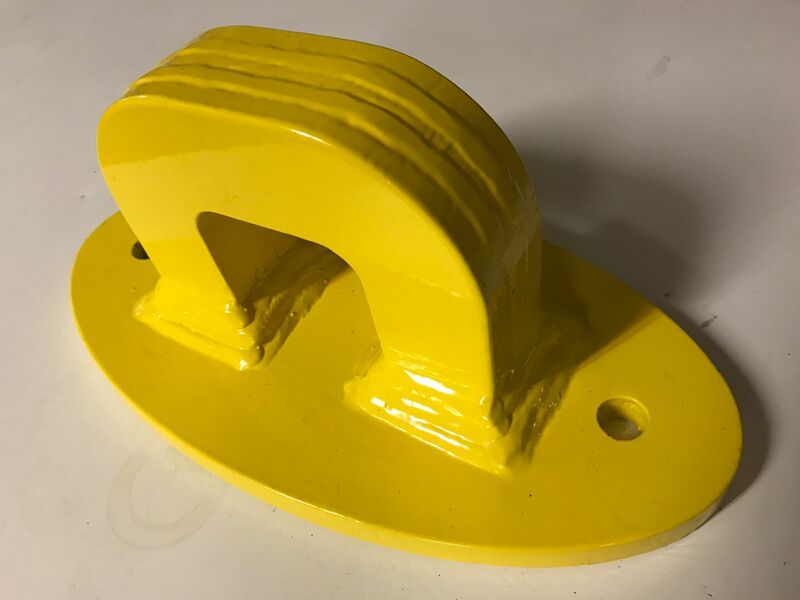 So, if you want a `silly daft` ground anchor then I think this one will take some beating! Fasteners supplied. It comes undercoated in grey primer so you can paint it any colour you want - am happy to paint it for you but you`ll get the colour I have available at the time.